This article will be updated as new information and/or translations become available. 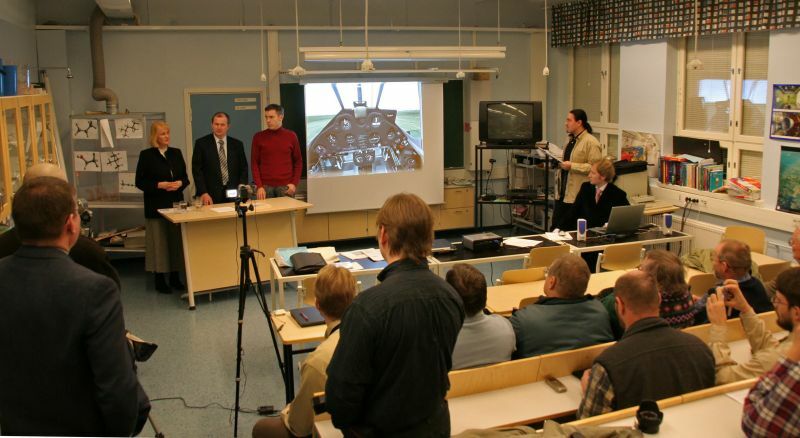 Finnish Virtual Pilots Association (Virtuaalilentäjät ry) organized a presentation event in which the story of the Finnish World War II Brewster fighter aircraft and its journey to the United States was described in detail. PRESS: We deliver photographs, video about the presentation and other material available per request. Contact us using the palaute/feedback button on bottom of the page. - Brewster aircraft and its use around the world. - BW-372 - Brewster's story. - Brewster-pilots tell about flying the aircraft. Both presentations feature information available in a book about a famous Brewster pilot that will be available in 2006. 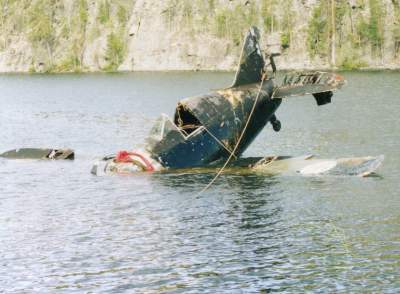 In summer 1998 a WW2 era Finnish Brewster B-239 fighter was found in a lake in Russian Karelia. The B-239 fighter flown by Lauri Pekuri was shot down in a aerial combat 25.6.1942. The aircraft that was found is the only one existing in the world. The results of work by a Finnish-Russian-American expedition group seemed very promising in the beginning. The group had all the necessary permits for the operation, granted to Prytkov's Petro-Avia company by local government of Karelia Republic. The restoration project got into problems as the potential value of the plane was understood by other parties. Even Russian OMON special forces were sent after the search party. The ownership relations of the aircraft were mixed and in the end the aircraft ended up in an Irish warehouse as merchandise for several years. From Ireland the aircraft's journey continued to a warehouse in Mobile, Alabama. After two years the aircraft was transferred to the United States Naval Museum at Pensacola, Florida. How did it all begin? What the search process required? Marja Lampi, who had assisted in the search process from the beginning and Vladimir Prytkov, who eventually lifted the aircraft from a lake tell about the persisting expedition in their presentation and how the aircraft was eventually found. And what happened after that.. 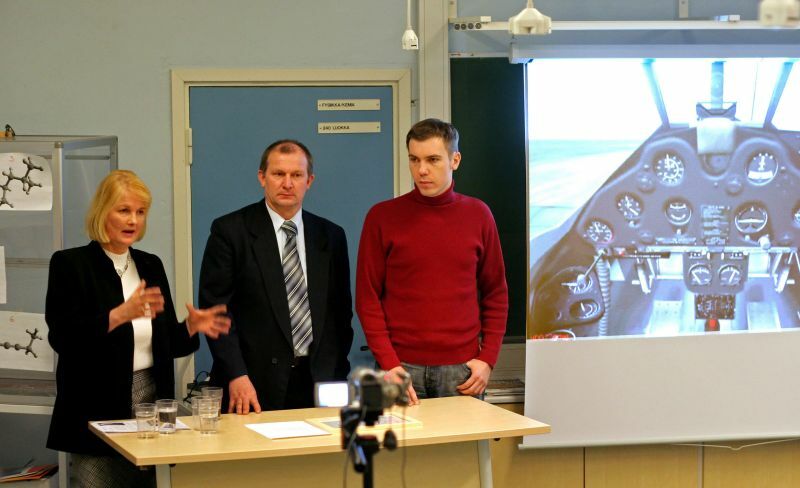 In the presentation rare footage and photographs of the actual lifting and transportation of the aircraft were presented for the first time in Finland. 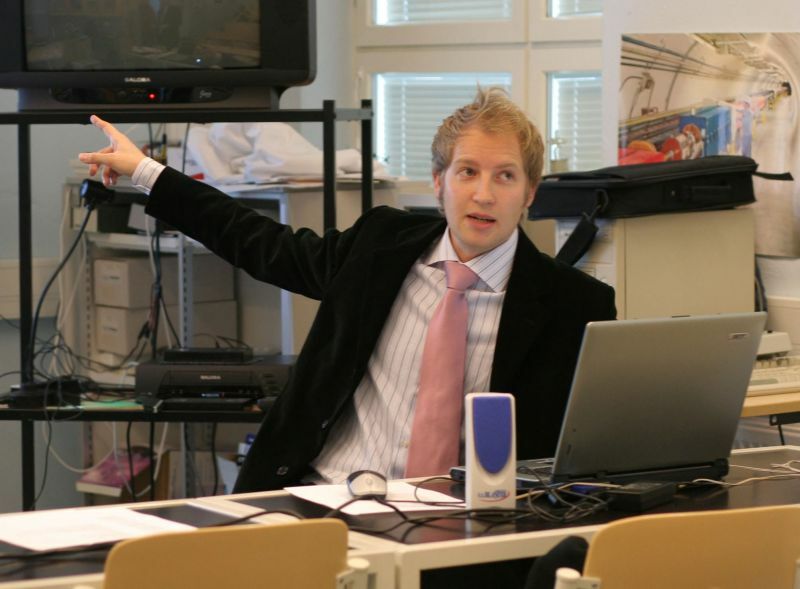 Virtual Pilot's Ville "Camo" Pitkänen acted as the technical assistant in the presentation. 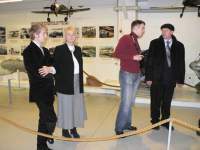 Prytkov tells about the lifting of the plane. Marja Lampi, Vladimir Prytkov and interpreter Juri Stotski. The hall at Tikkakoski was packed. Ville Pitkänen, Marja Lampi, Juri Stotski and Vladimir Prytkov. Virtuaal Pilots' Jukka Kauppinen, Lampi and Prytkov at Vantaa. 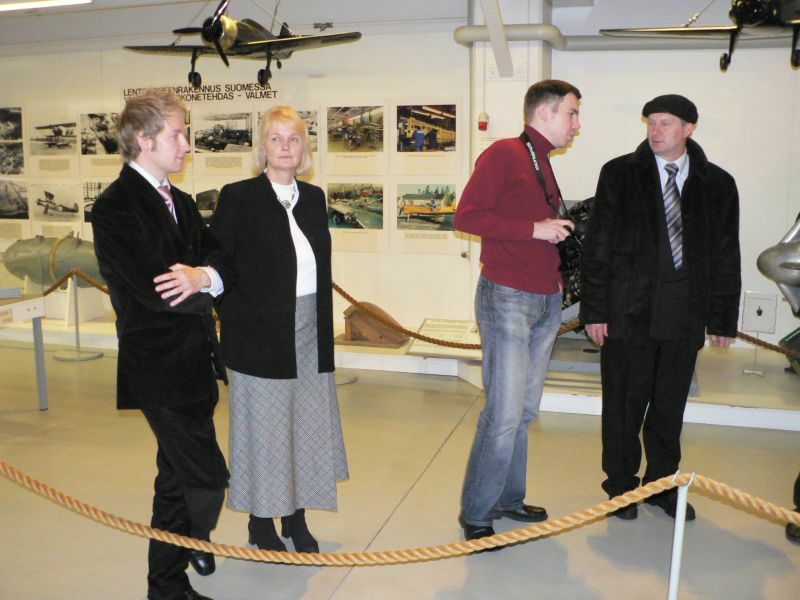 The Finnish Virtual Pilots Association organized 3.12 and 4.12 presentations at Tikkakoski and Vantaa, at Keski-Suomen Ilmailumuseo (Finnish Air Force Museum) and Suomen Ilmailumuseo (Finnish Aviation Museum), where the story of BW-372 was told in its full length for the first time in Finland and anywhere. BW-372, a Finnish Brewster fighter aircraft piloted by Lauri Pekuri was shot down but its story continued after the war. 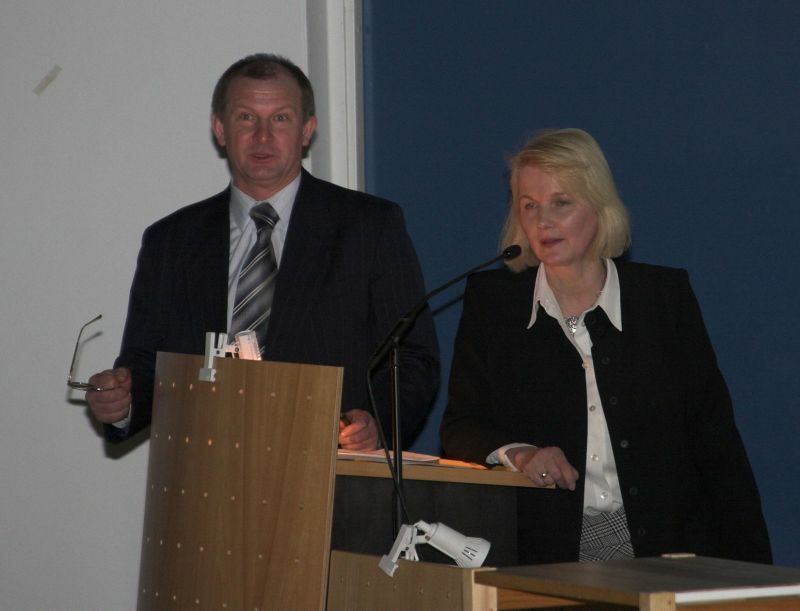 In the presentation event Marja Lampi, the daughter of the Brewster pilot and President of the Court of Appeal Heimo Lampi, and Vladimir Prytkov, who eventually lifted the plane out of its watery hideout, told about the search, finding and lifting of the BW-372 - and events that happened after. The auditorium at Suomen Ilmailumuseo was packed with audience. 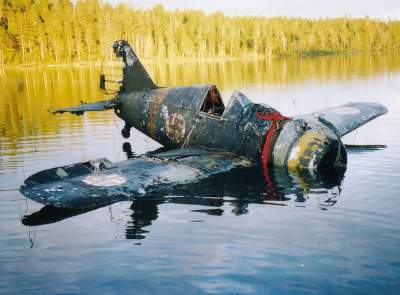 In the summer 1998 a WW2 Finnish fighter aircraft B-239 was found in a lake in Russian Karelia. The aircraft, piloted by Lauri Pekuri, was shot down 25.6.1942. The aircraft is the only existing Brewster B-239 in the world. And not only that, it is the only Brewster-built, F2A-type, Buffalo-type aircraft in the world. Search for the plane was started already in 1992 when Veikko Sarakontu, a Finnish fighter pilot who moved to United States and who is nowadays known as Vic Sargon, visited his schoolmate Antti Eisalo in Finland. Eisalo was neighbour of Brewster-pilot Heimo Lampi. Mr. Lampi had a dream about finding a Brewster aircraft and placing it at a aviation museum. Vic Sargon knew that the United States Naval Museum at Pensacola was interested and arranged contacts. In 1994 the museum got a sponsor for the project - a American millionaire Marvin Kottman, who agreed to fund the expedition to search for a Brewster and provided the equipment. Heimo Lampi asked Timo Nyman, a Finnish expert to join the expedition. Previously Timo Nyman had been trying to locate the BW-388. Heimo Lampi also got the Russian expert Vladimir Prytkov to join the team. Gary Villiard, American businessman, joined via Kottman. With discussions helped by Marja Lampi Marvin Kottman and Vladimir Prytkov agreed that Prytkov's company Petro-Avia will perform the search and lifting of the aircraft. Jouko Lilja's BW-388 was searched for during summer 1994 but with no success. The search operation was cancelled and it was decided to try to find Lauri Pekuri's BW-372. The search area chaged from Seivistö to East Karelia. During winter 1995 serveral expeditions were performed and number of lakes were searched without success. Prytkov walked about 1000 kilometers during the winter. Searching one lake could include walking 200 kilometers on the lake. In 1996 information about BW-372's shootdown was found at Moscow's War Archives by Prytkov. The search resumed. In 1996 and 1997 several expeditions were performed without success. American Charles Haynes funded the expeditions during 1997-1998. Searches were resumed in January and February 1998 again with no success. During this Timo Nyman had announced that he knows the location of the aircraft and requested funding for his expedition. After funds were raised Timo Nyman reported that he had found the aircraft in May 1998 after which Prytkov assembled a team to lift it. 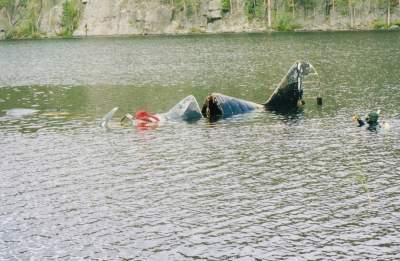 In August 1998 lifting team arrives at the crash lake and Timo Nyman showed the crash location. BW-372 is quickly found in the bottom of the lake 15 meters below surface. The aircraft had to be cleaned in the bottom of the lake as it was covered by mud and debris. Mud had also acted as preservant so the aircraft had been preserved well. Actual lifting was performed with extreme caution. Prytkov said that "the group treated the aircaft like a child, no one wanted it to be damaged in any way". The aircraft was lifted on the shore without any damage. The situation changed after lifting the aircraft. Prytkov was arrested and the ownership relations of the aircraft became mixed. Prytkov was charged with "attempt to steal a historic monument", worth 8-15 years of imprisonment. Intriguing, all charges were dropped immediately after Prytkov had dismantled the Brewster at Moscow and given the parts final preservation treatment. During the presentation the amount of work by Vladimir Prytkov and his group to find and lift the BW-372 became clear. During four years Prytkov performed over ten expeditions and walked thousands of kilometers on his own feet in temperatures below -40 degrees while searching for the aircraft. "Sometimes I was so exhausted that I couldn't do anything but lay in tent. The searching demanded real sisu and motivation", Prytkov told. Prytkov wants to remind that "the lifters of the plane - regular Russian citizens - treated the aircraft which had belonged to their enemy with respect. They did all they could to get the aircraft preserved in the world's aviation history with as minimal damage as possible. Their merits shorld not be forgotten." During the presentations it becaem clear that finding the Brewster was a work done by two men: Finnish Timo Nyman and his team found the precise location of the aircraft. On the other hand Vladimir Prytkov with his group searched for it for four years - sometimes with their own expense and without pay - and finally performed the demanding lifting operation. The Finnish Virtual Pilots Association is proud after being able to give the searchers an opportunity to tell about the events from their perspective, and years of hard work. Both presentation events gathered huge audience, and at Tikkakoski some of the listeners had to sit on stairs as there were not enough seats in the hall. 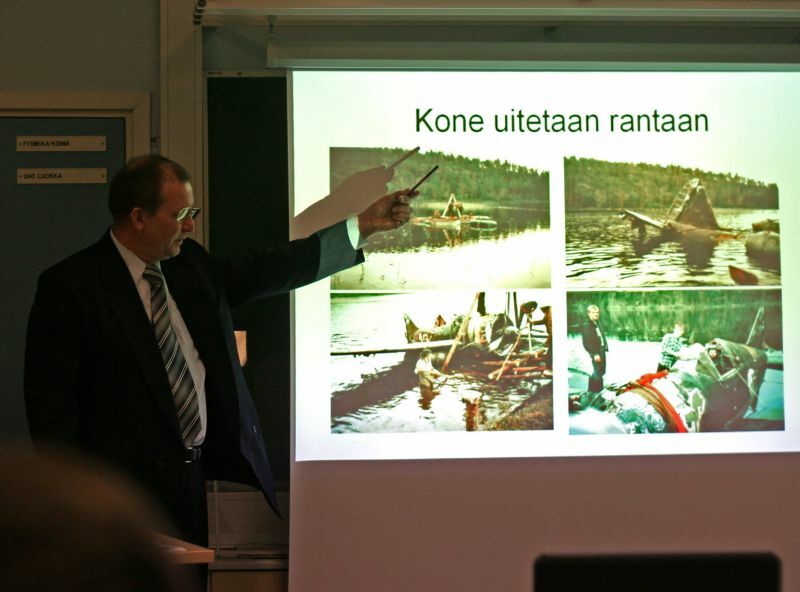 Finnish audience listened Prytkov's story about the search and lifting of the aircraft with huge intrest. After the event and articles in the Finnish press we have received many messages from other people connected to the BW-372 search and rescue operation. Some of them have not wanted to tell about their part in the public, some seem to have more stories to tell about the different phases of the operation. We will happily publish more information regarding the BW-372, when those become available or translated into English. Anyone with more information to share can contact us using the Palaute / Feedback -buttons on the bottom of this page. Finnish Virtual Pilots Association is an association which purpose is to promote multiplayer flight simulators and aviation hobby among people interested in aviation. Our plan of action includes active research and preservation of Finnish aviation history. The association is member of The Finnish Aeronautical Association and The Society of Finnish Military History (Suomen Sotahistoriallinen Seura ry - Krigshistoriska Samfundet i Finland rf).